Two factor (or two step) verification is not just for Mayo access to our intranet and other online services. Now many commercial websites as well as many banks offer two factor verification as an added measure for your security when access an online account. 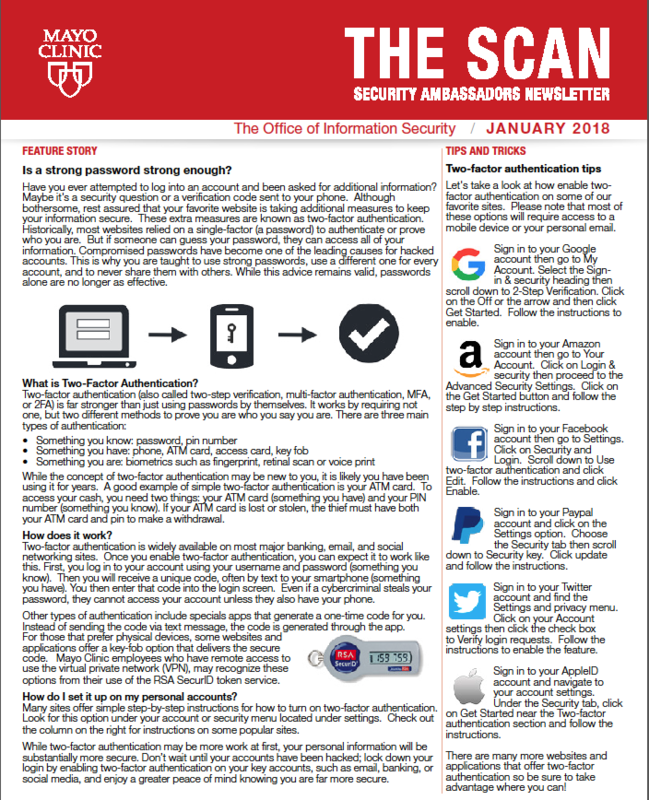 The January newsletter from our Office of Information Security has more about this. To read more about this and some of the sites that offer it, click here.